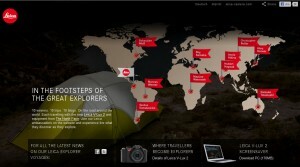 Leica have launched a blog that follows their 10 winners who are walking in the footsteps of 10 great explorers. Armed with Leica’s V-Lux2 these explorers are documenting their modern day journeys and sharing them with us through this fantastic website. Why not check it out here.